Get ready for a WAVE of holiday giveaways here on my blog. I usually try to limit giveaways but since tis the season to be jolly (fa la la la la, la la la la), why not give in to the gift-giving spirit? First up, a generous giveaway from Madison! For those who are not familiar with Madison, it’s a store located at the Powerplant Mall that offers selected pieces from over 40 international labels like Cambridge Satchel, Cheap Monday, DVF, French Connection, Repetto and more. So what’s up for grabs? Madison is giving away these prizes to 3 lucky readers! Like Madison Philippines on Facebook and follow @Madison_PH on Twitter. Make the Madison Cover photo your Facebook cover photo. Get the cover photo here. Post this as your Facebook status: “What’s on my gift list? 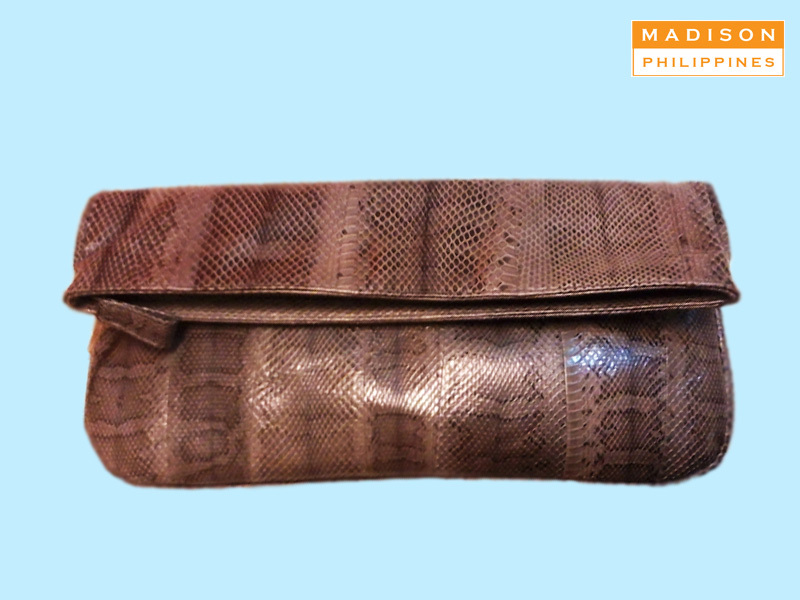 Over 40 international designer labels are available at Madison Philippines!” Make sure Madison Philippines is tagged in your status. Deadline for entries is on December 10, 2012 at 11:59 PM. The 3 winners will be chosen via Random.org and announced here on the comments section below. 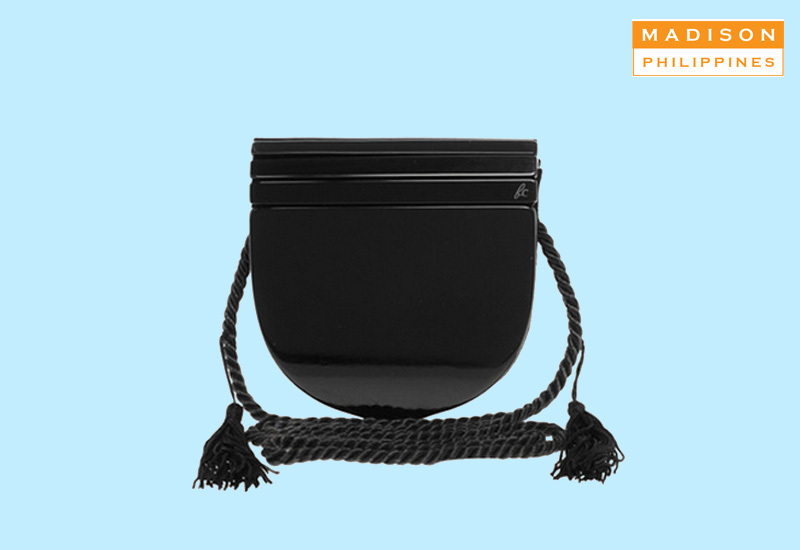 Winners may claim their prizes at Madison (Level 2 Archeology Wing, Powerplant Mall) from December 15-20. 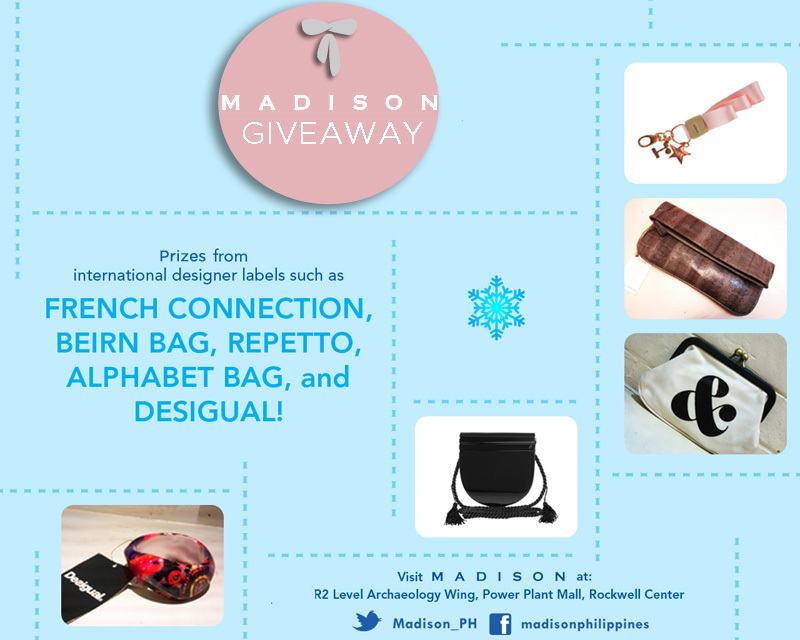 This contest is open to Metro Manila residents only unless you can have someone claim your prize at Madison. Good luck everyone! If you need to contact Madison by any chance, their contact number is (632) 896-0010.
what a great giveaway! love the bag so much! I saw you at Edsa Shang a while ago for Metrowear Fantasy, fashion show. I’m so friggin’ shy to take a picture with you. I’m waiting at you in the Photo booth so I can take a picture, but I don’t really have the guts to. I had a feeling that you smiled at me. *feelingera ) Anyway, I know I’m just one of your billion fans. I’m just so happy to see you in person, just so you know. You’re really pretty! You’re such an angel. Thanks Apple! I think I remember! :) You’re the girl in a creamish dress? Basta I’m sure I noticed you haha! I wish I can join my own giveaway haha! omg great giveaway! the bag is soooo cute!! !